MANILA, Philippines – These days, a lot of people post on social media about their grievances. 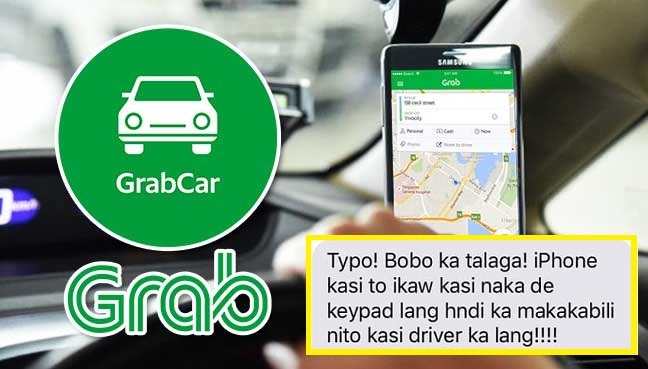 A Grab passenger threatened to shame the driver for his actions, saying he’s surely going to go viral because he’s conceited but her plan backfired when the driver posted their convo – and it turned out she was the one who was haughty. This unnamed female passenger booked her Grab ride near Apolonio Samson Elementary School in Balintawak, Quezon City; however, she failed to notify the driver that the street was narrow. She could have chosen to walk to a wider road but because she didn’t, the driver accidentally scratched his car; this made him angry, of course, but he chose to keep silent. 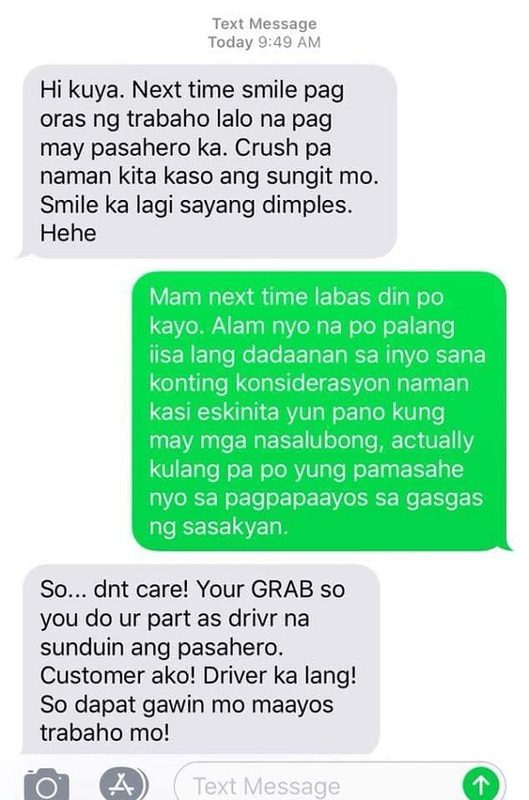 The woman felt insulted that the ‘cute’ driver drove in angry silence; thus, she messaged to tell him that he should smile when at work, especially if he has a passenger. Taking this as cue, the driver told the woman to be more considerate to Grab drivers in the future, reminding her that the fare wasn’t enough to cover payment for the scratches on his vehicle. “Customer ako! 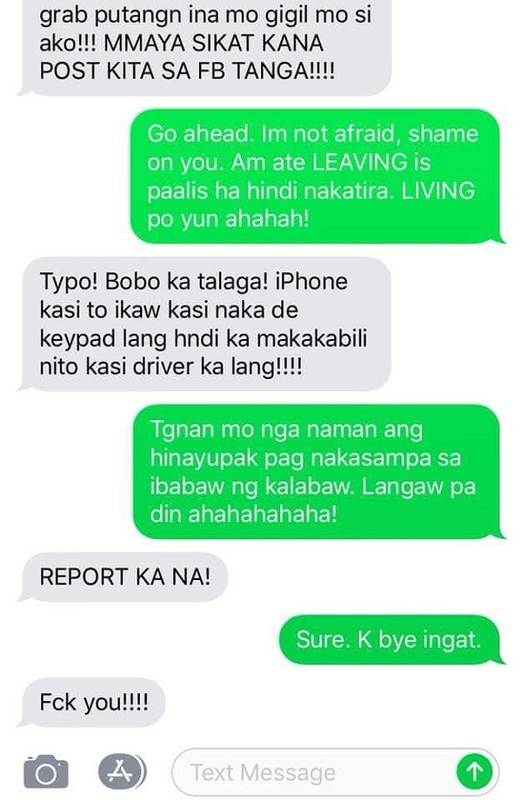 Driver ka lang!” the passenger angrily texted back. She pointed out that the driver only had a Toyota Vios, not a sports car; because his car was ‘pang-taxi’, she felt that he didn’t really have the right to complain about the scratches. She added that she could afford to buy a Vios but she chose not to because the model was ‘cheap’. 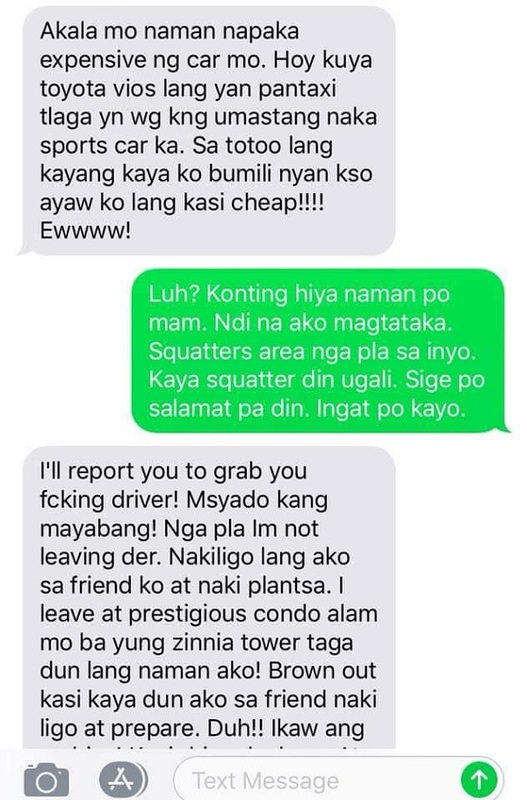 When the driver pointed out that she came from a squatters’ area, she bragged that she’s actually rich and ‘leaving’ (living!) in a condo unit at Zinnia Tower but was only in the area to take a bath and prepare for work at a friend’s house because they were experiencing a power outage at the condo. The driver laughed at the passenger, telling her he’s been residing at a condo for 3 years and they rarely have extended power outages because condos have generators. He also pointed out that the proper term in ‘living’, not ‘leaving’; however, the woman scoffed at this, blaming autocorrect on her iPhone. 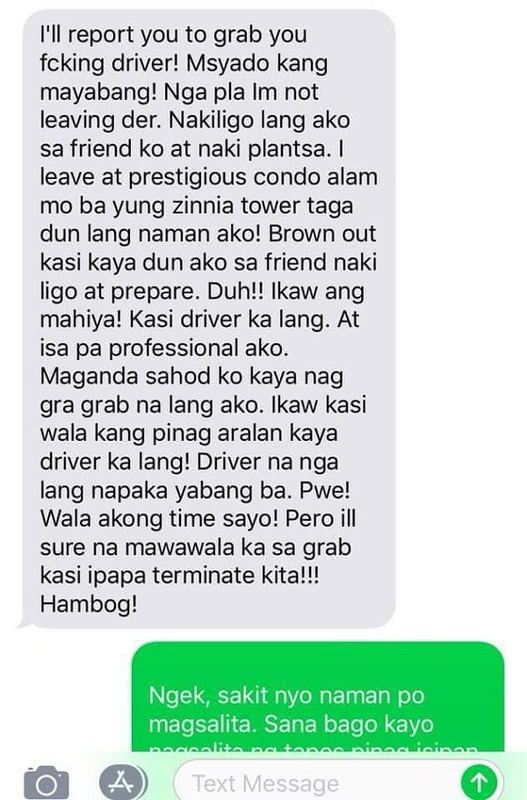 She kept bashing him for being ‘just a driver’ and uneducated whereas she’s a professional with a high-paying job. She also threatened to get him booted off Grab. For her haughty attitude, the woman got slammed on social media. Many laughed that she pinned the blame on autocorrect, instead of admitting she made a mistake on that part or that she didn’t know the right spelling to use. 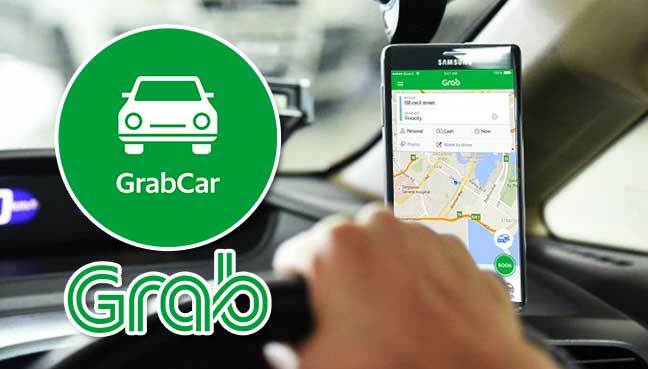 Others also informed the woman that many Grab drivers aren’t really ‘just drivers’ but are actually unit owners and businessmen who are earning a good amount of money with their vehicles. 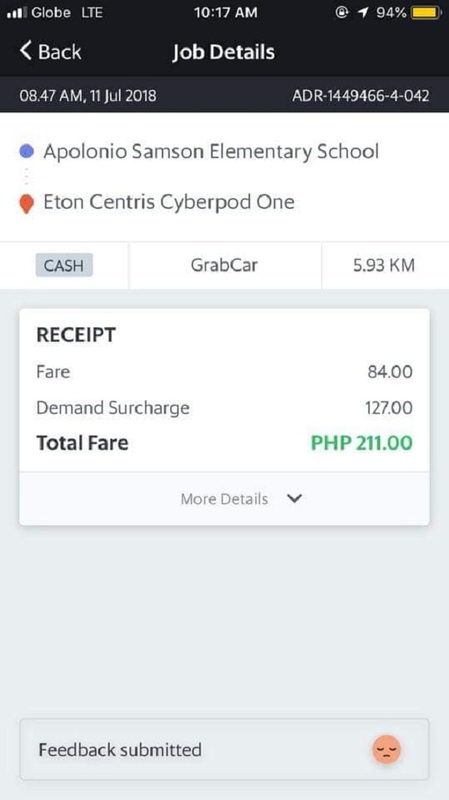 “Nagmamayaman ee mas mayaman pa yata sa kanya yung driver,” one netizen wrote. “#Burn Kailan pa nawalan ng power sa Zinnia Towers? 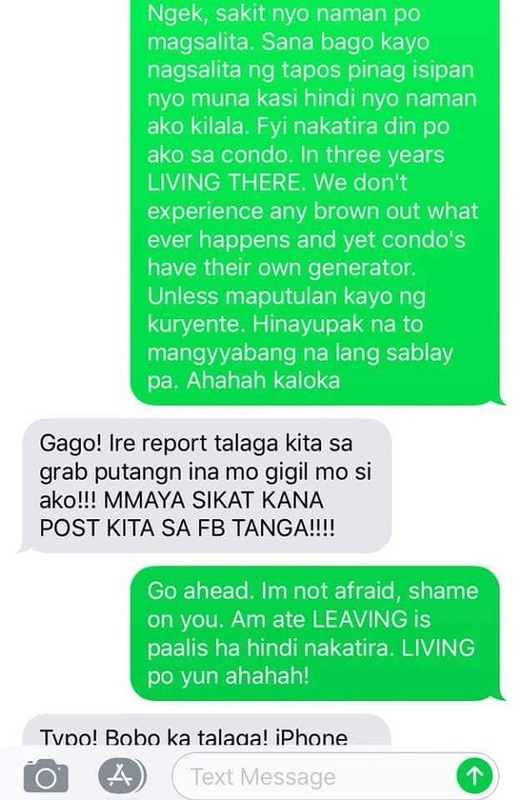 Nandamay kp ng condo sablay pa,” a resident scoffed.